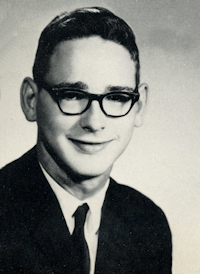 Obituary – Cooper III, Charles Samuel « Perry High School Alumni Association, Inc.
Wrestling ’60-’62, Track ’60-’62, F.T.A. ’62-’63. Charles Samuel “Sam” Cooper III, 64, of Oklahoma City, Oklahoma was the son of Charles Samuel Cooper II and Rosa Hageman Cooper. He was born February 19, 1945 in Perry, Oklahoma and died Tuesday, June 9, 2009 at his home. Sam earned the rank of Eagle Scout before graduating from Perry High School in 1963. On May 4, 1968, he married Kathy Brorsen, also of Perry. They had two daughters, Nikkie and Monica. He started his career in Oklahoma City working for Michelin Tires. He later transferred to Texas and continued working there for more than a decade. Sam and his family returned to Oklahoma City in 1984. While in Oklahoma City, Sam worked for Bridgestone Tires, Petro Truck Stop and Speedco. 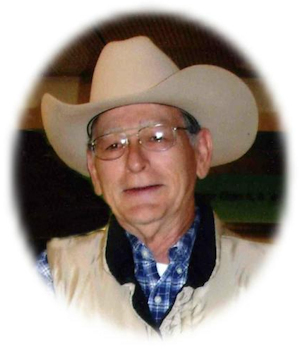 He enjoyed reading westerns, woodworking, spending time outdoors and being with family and friends. Memorial services will be at 2:00 p.m. Monday, June 15, 2009 in the Buchanan Funeral Service Chapel, 8712 North Council Road, Oklahoma City, Oklahoma. Rev. Martin Foster will officiate. Services are under the direction of Brown-Dugger Funeral Home of Perry, Oklahoma. The family will receive friends from 2:00-4:00 p.m. Sunday, June 14 at Brown-Dugger Funeral Home. Memorials may be made to The Children’s Center of Bethany, Oklahoma in care of Brown-Dugger Funeral Home, 1010 N. 7th Street, Perry, Oklahoma 73077. In addition to his wife, Kathy, Sam is survived by two daughters, Nikkie Cooper, of Fort Morgan, Colorado and Monica Sloan and her husband, Jason, of Annandale, Virginia; one grandson, Hunter Sloan, of Annandale, Virginia; and two sisters, Rose Knight, of Perry, Oklahoma and Shirley Palmer, of Renton, Washington and several nieces and nephews. Sam was preceded in death by his parents, Charlie Cooper and Rose Cooper Clardy; one half-brother, Bernard Cooper, and one half-sister, Helen Scott.